From Duke's 'Nutcracker' To A Cynical Carol, Jazz For Christmas American Routes host Nick Spitzer calls in to chat with NPR's David Greene about noteworthy Christmas contributions from some of jazz music's most revered and beloved artists. 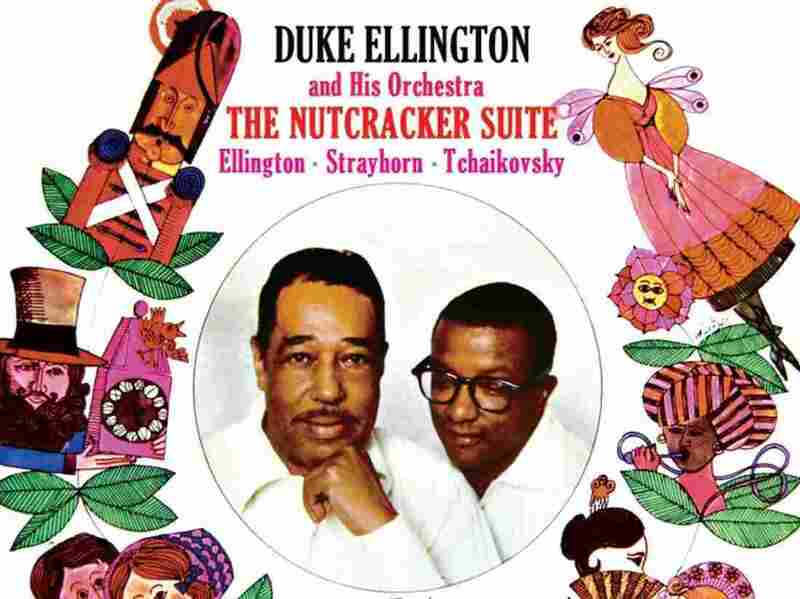 Duke Ellington & Billy Strayhorn collaborated to release The Nutcracker Suite in 1960. Over the years, jazz musicians have produced countless recordings of carols and holiday music. Nick Spitzer, host of public radio's American Routes, called NPR's David Greene to weigh in on some swinging, soulful and snarky jazz holiday favorites, some of which were created by the genre's most beloved and influential artists. Duke Ellington & Billy Strayhorn, "The Nutcracker Suite"
"Ellington saw jazz as not only jazz, but as great music," Spitzer says. "So he wanted to let people know that he appreciated these kinds of things. The suite form had been important to him, but this is the first sort of whole piece based on a classical score. You can hear him kind of mingling Tchaikovsky and Ellington. You can hear counterpoint and swing on the familiar tunes and the 'Overture' and the 'Entr'acte' of The Nutcracker. It's just a lot of fun as a kind of improvisation meets the tradition of classical." Cotton Top Mountain Sanctified Singers, "Christ Was Born On Christmas Morn"
"This is from the 'golden era of 78s,' as it's called," Spitzer says. "A 1929 session in Chicago and kind of a put-together band. They used a local church congregation to back up the leader and singer, Frankie 'Half-Pint' Jaxon; he was a sometime female impersonator and writer of sort of comedic stuff. It's got a wonderful mix of a sort of lining out, testifying style of gospel meets jazz, almost old-time country sort of feel to it." "Christ Was Born on Christmas Morn" appears on the Where Will You Be Christmas Day? compilation. Miles Davis & Bob Dorough, "Blue Xmas"
"First of all, let's point out that Miles Davis was, at times, known as the Prince of Darkness," Spitzer says. "In the early '60s, he had known Bob Dorough, who was a wonderful arranger and writer of comedic songs. Miles went to him because he liked his cynical comedic songs and said, 'I need a Christmas song.' And Bob told me, 'Miles didn't want folderol and jingle bells, so I concentrated on the overcommercialization of Christmas.' "
New Birth Brass Band, "Santa's Second Line"
"These are the parades that go with the Social Aid and Pleasure clubs back into the 19th century," Spitzer says. "They're at the beginning of jazz, and they're strongly African-American and Afro-Creole. The second line are the people that follow the band and follow the people who sponsor it. So everyone joins in the streets. And the band here is doing a kind of single leader with James Andrews, the Satchmo of the Ghetto. And then a call-and-response with the crowd and the band, probably in the street. They're winging it, and that's the way it sounds and the way New Orleans makes music for itself." 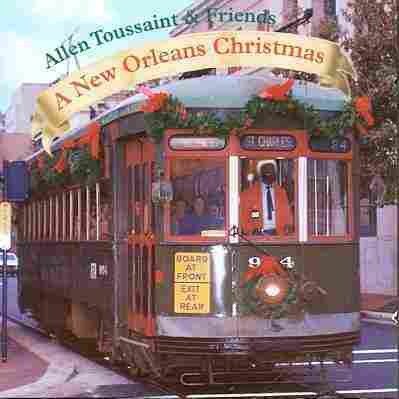 You can hear "Santa's Second Line" on this list of New Orleans Christmas jazz.